- Deep underground minerals bring out your skin's beauty and natural regenerative abilities. - Healthy sebaceous glands protect our skin by generating slight acidity. This cosmetic lotion supports that process, preserving the outer layer of the epidermis and encouraging youthful skin. 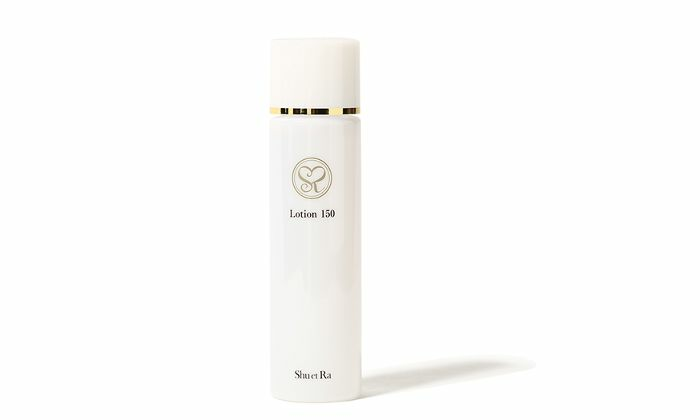 Thoroughly lather your skin with Shu et Ra Lotion 150, applying in chronic dry spots first. Sensitive skin, dry skin and aged skin tend to lack hydration in particular. Continue blending until it feels moist. Enjoy the sensation of more joyful, lively skin.